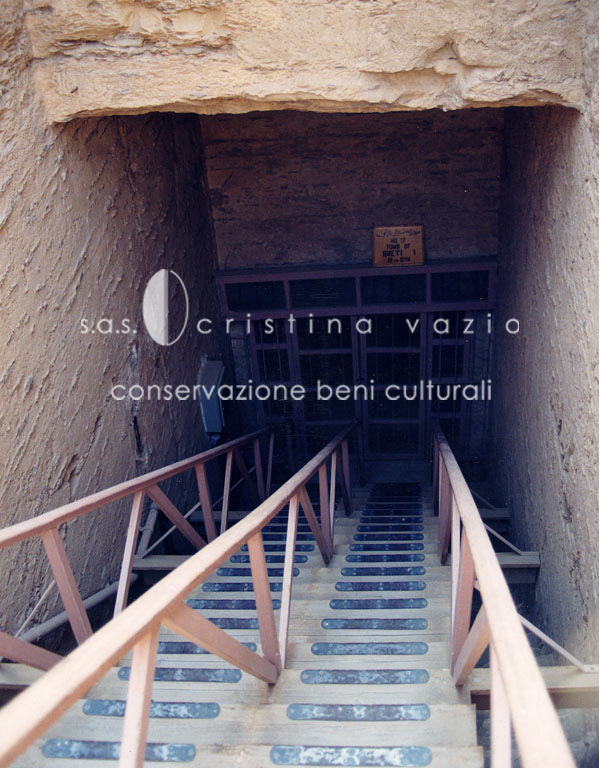 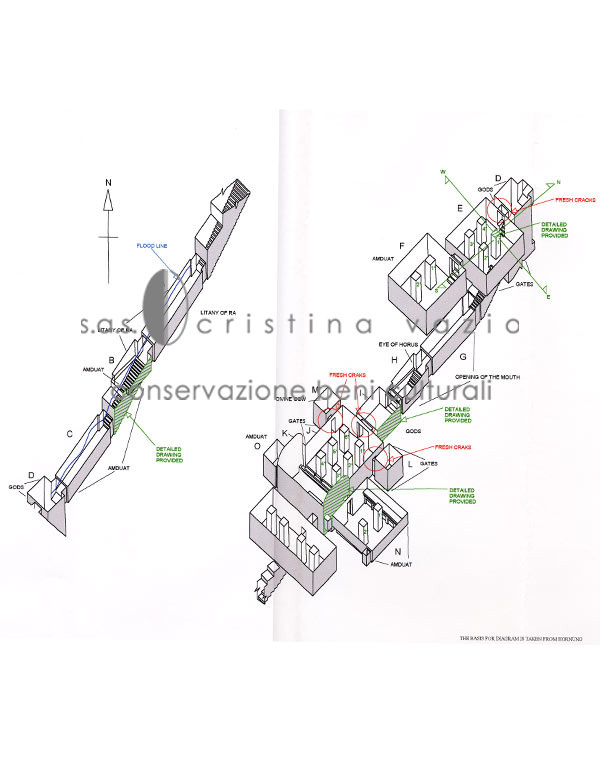 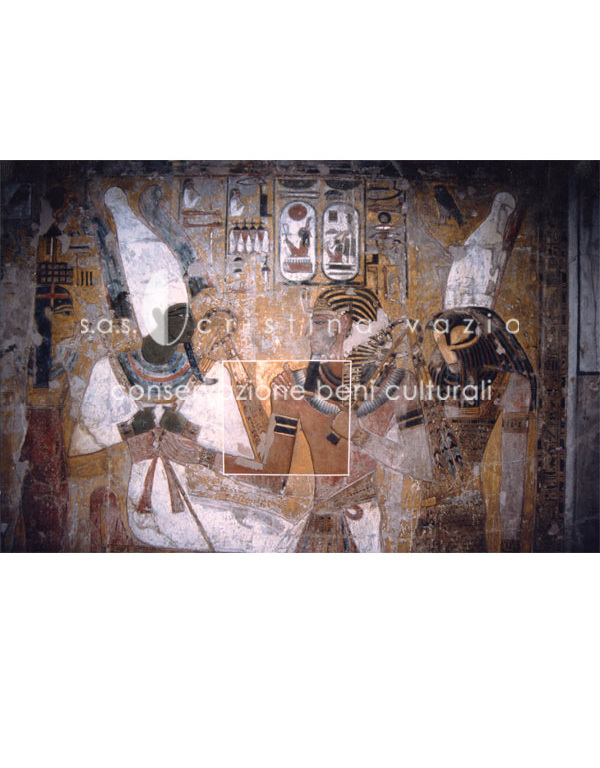 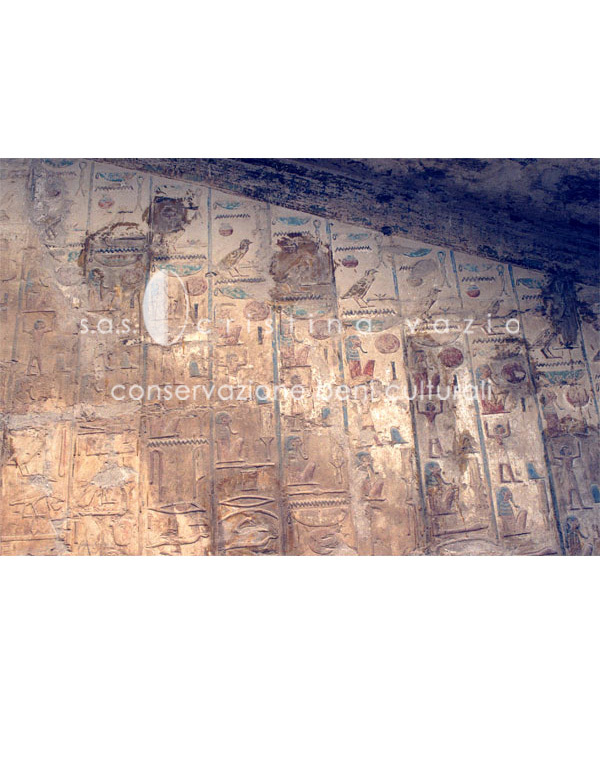 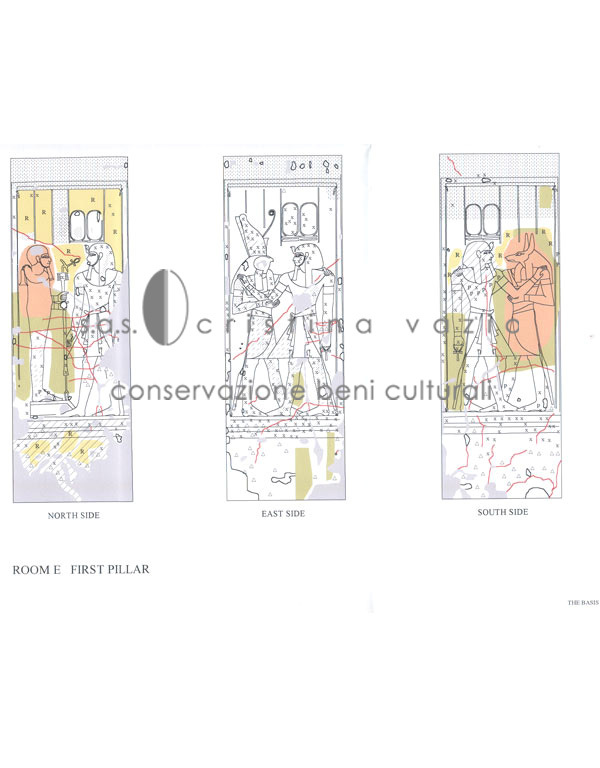 The study project of the Tomb of Seti I in the Valley of the Kings in Luxor, was done on behalf of the American Research Center in Egypt (ARCE) and the Egyptian Antiquities Organization. 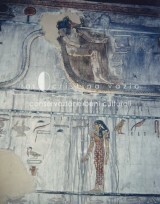 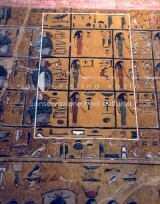 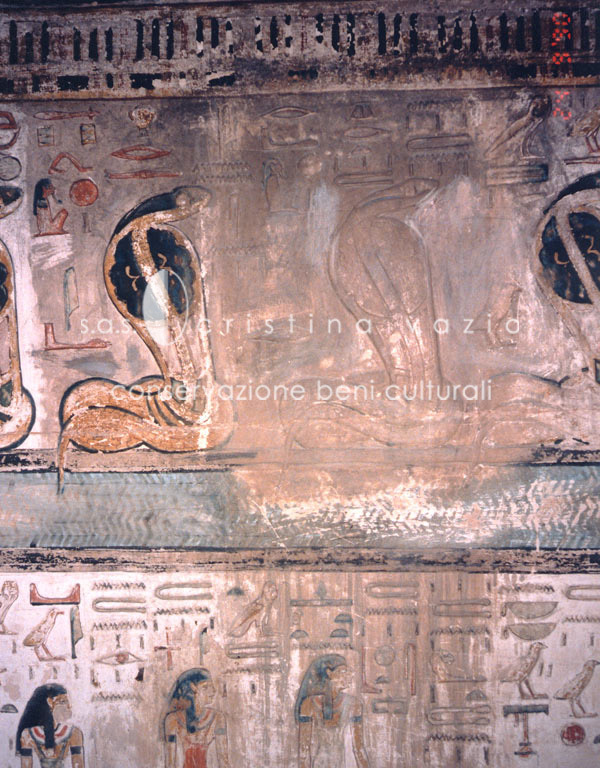 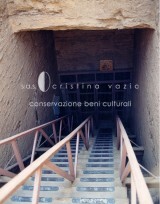 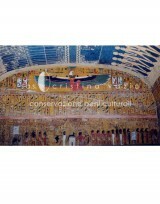 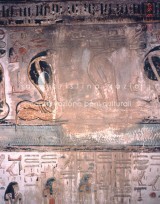 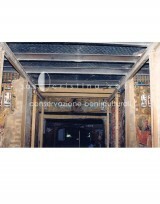 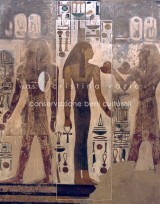 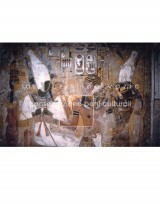 It pertained to the wall paintings in the entirety of the tomb. 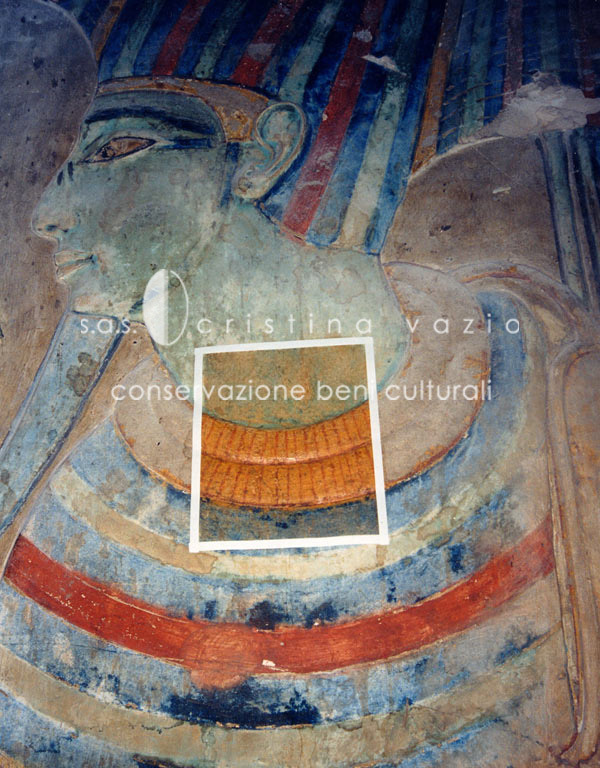 The study entailed two phases of actualization: the first phase consisted of collecting data in situ related to architectural technique and the state of preservation of the decorative scheme, on the basis of close-up observation. Detailed data sheets have been filled in with graphics recording observations. 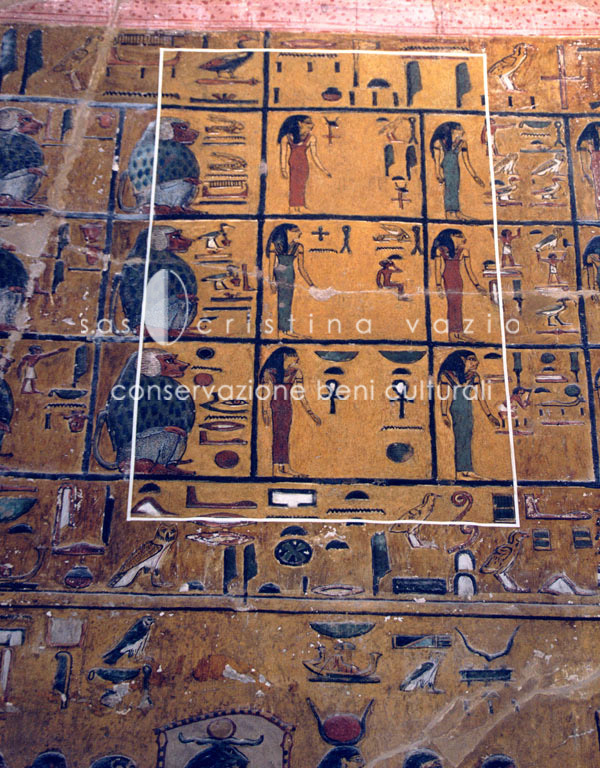 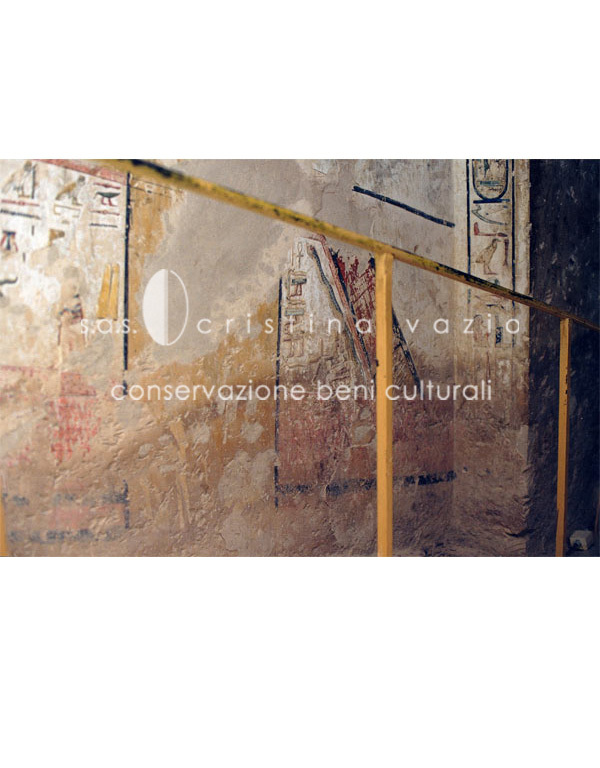 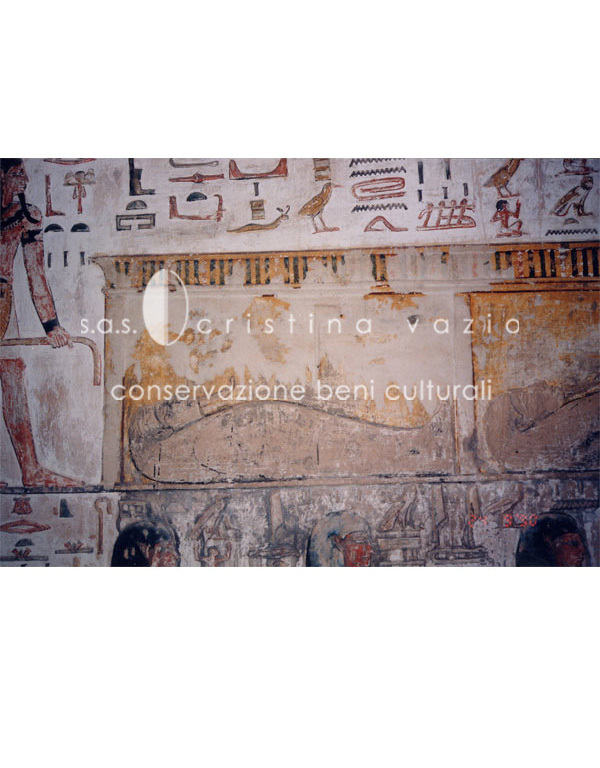 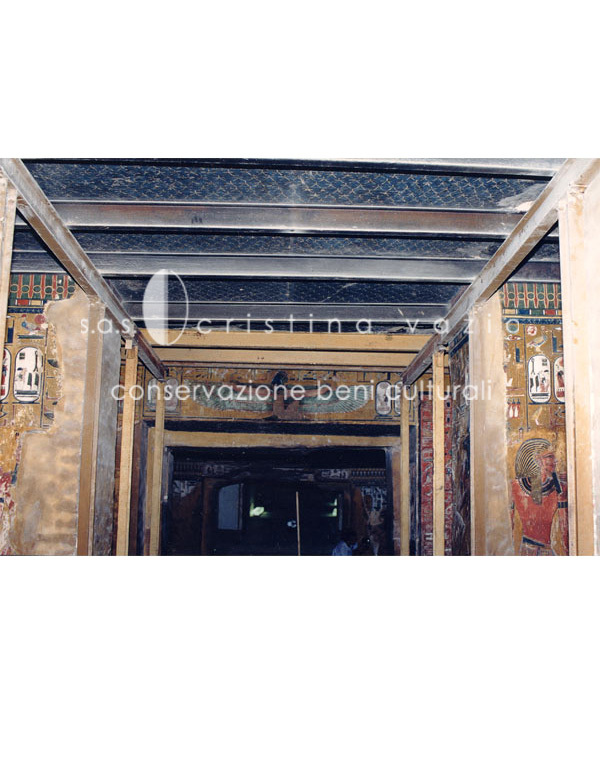 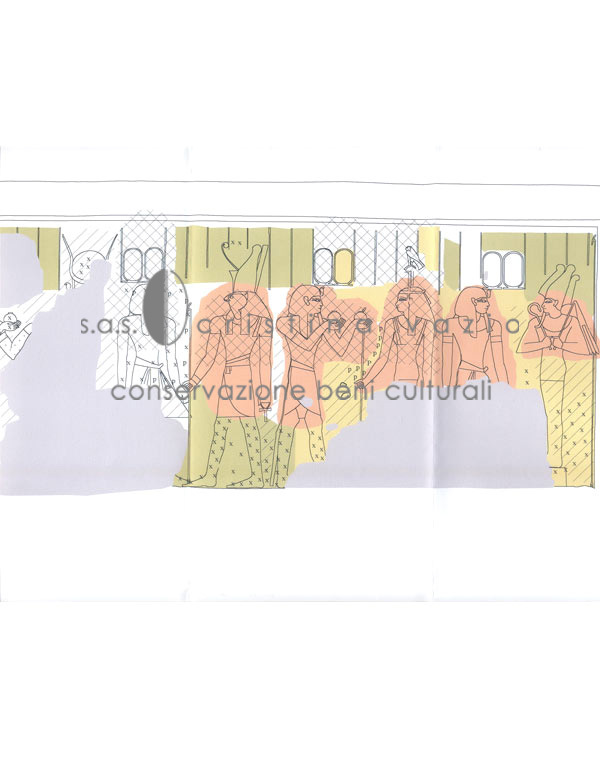 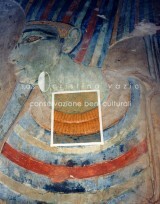 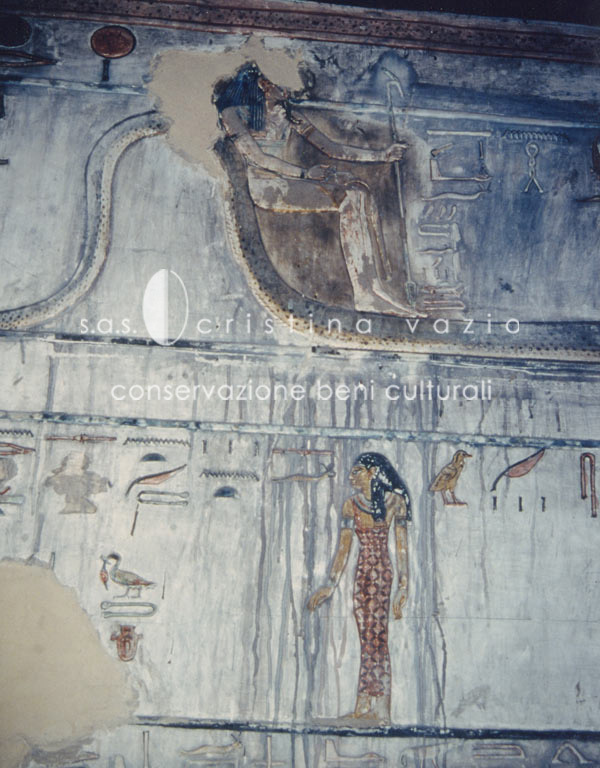 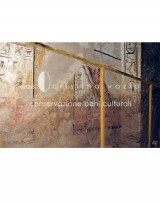 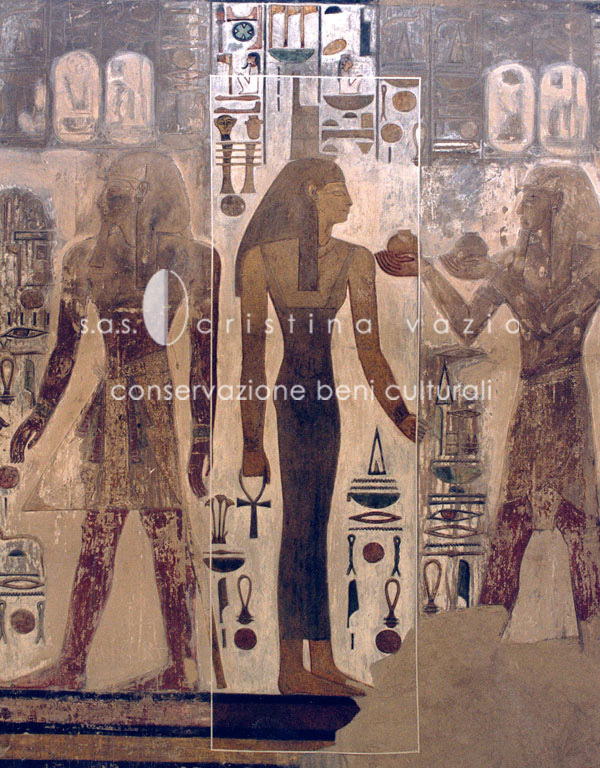 Cleaning and consolidation tests have been performed in order to give an indication of the appropriate methodology to follow for a prospective restoration of the tomb paintings. 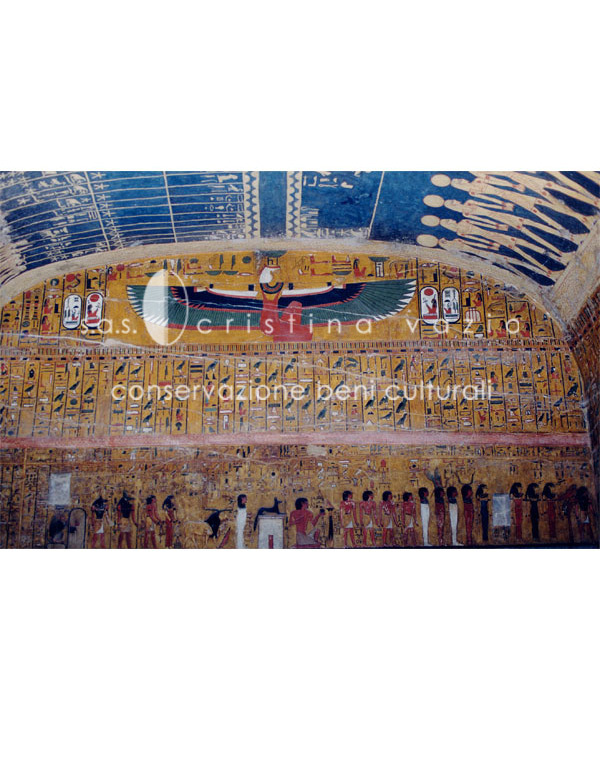 During the second phase, all the available sources on the discovery, subsequent explorations and later research on the tomb have been examined in an extensive study.